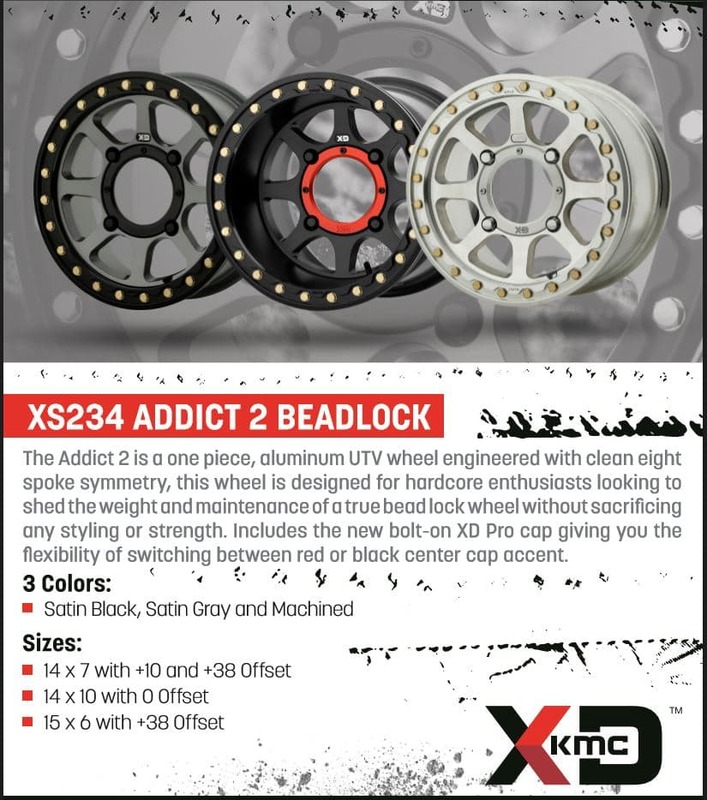 KMC Wheels expands their UTV line with the introduction of 5 new wheels: the XS134 ADDICT 2, XS234 ADDICT 2 BEADLOCK, XS135 GRENADE, XS235 GRENADE BEADLOCK and XS236 ADDICT 2 LW BEADLOCK. 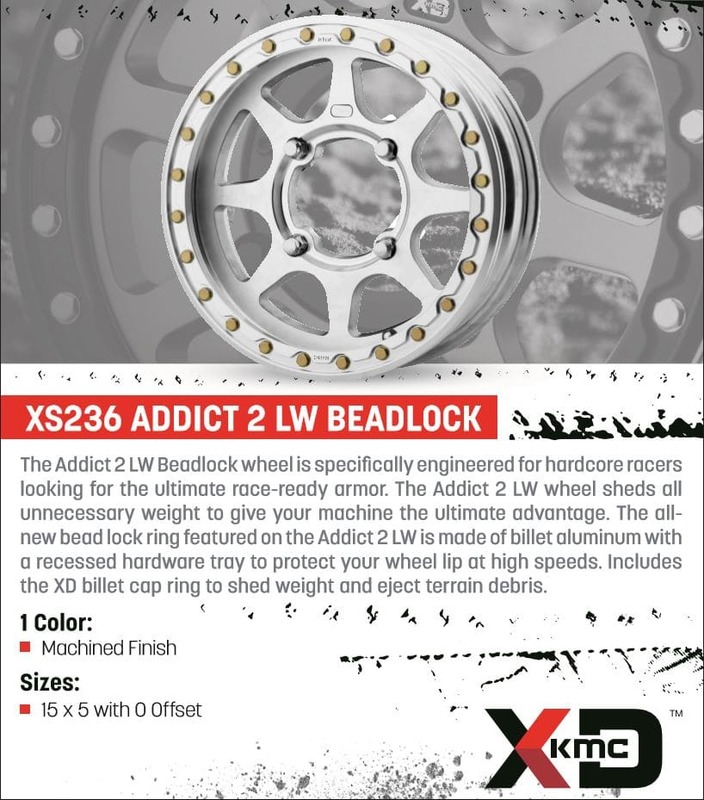 Including beadlock and non-beadlock models, the new 15-inch styles feature a high offset allowing improved handling and response to the steering wheel. 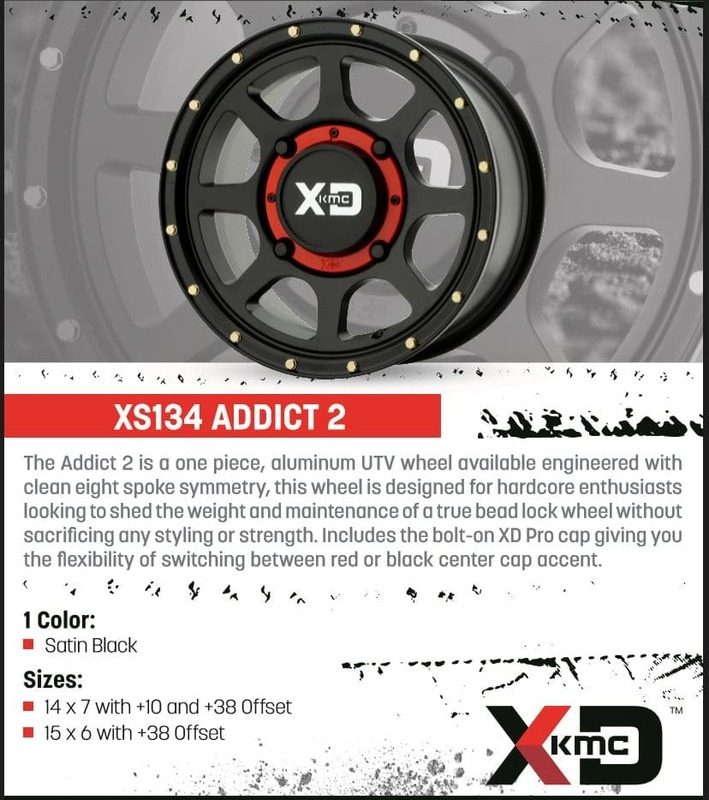 The new XD Powersports wheels have been designed and tested to provide a smooth ride over rocks and bumps. 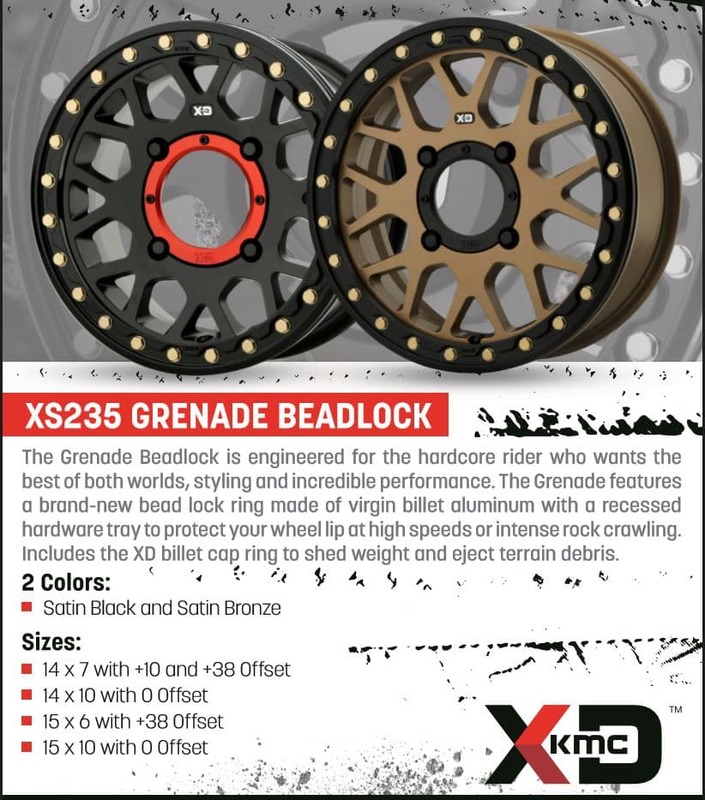 Furthermore, the new models will be available in a variety of colors including satin black, satin gray, satin bronze and machined steel. 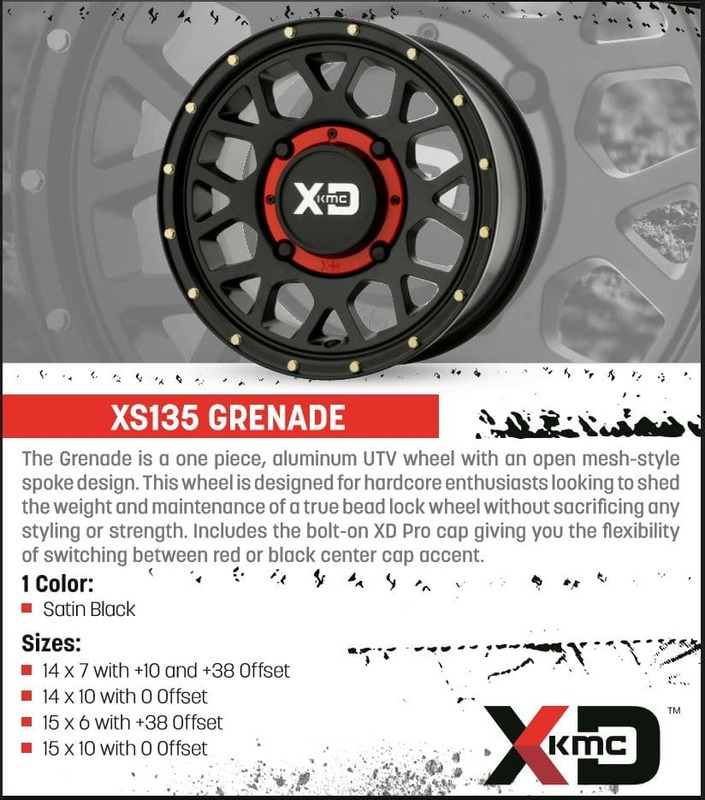 Less barrel for rocks/debris to catch at high speeds. 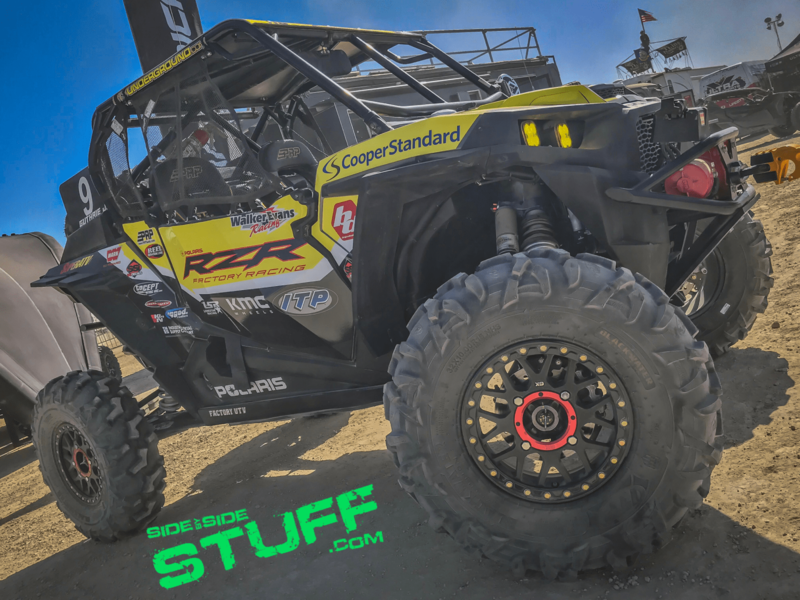 On February 9th, Polaris factory pro racer Mitch Guthrie Jr won the 2018 King of the Hammers using the new XS235 Grenade, a 15x5 inch race-specific wheel with zero offset. 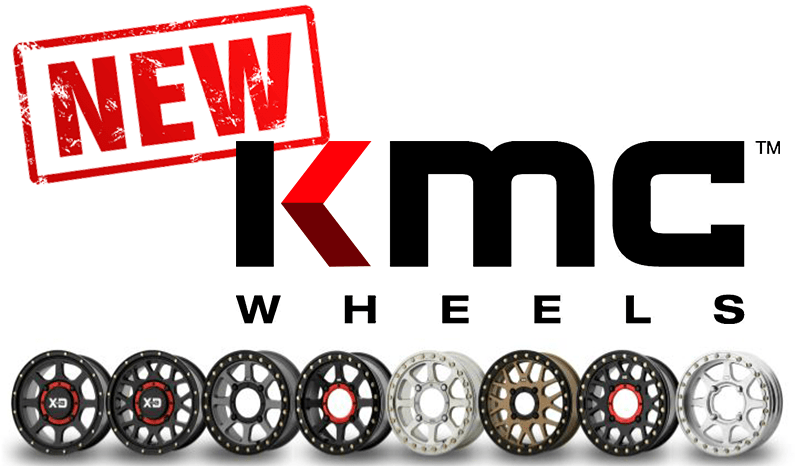 Browse our complete selection of KMC Wheels for UTVs at Side By Side Stuff.